Tired of sweaty hands messing up your shots? In this buyer’s guide, we’ll review the 7 best tennis overgrips on the market in 2019. We’ll also detail some key things to consider when buying, helping you to choose the right wrap for your racquet. Photo by LordOider licensed under CC BY-SA 3.0. First, we’ll show you what you need to know before buying a new grip. Already an expert? Skip to our reviews. If you like, you can take off your tennis racquet grip and apply a replacement grip directly to the handle. These products normally have a sticky backing, but can be quite difficult to install correctly. On the other hand, overgrips are meant to be placed over your current tennis racquet grip. They’re much thinner than replacement grips, ensuring that your handle doesn’t become too bulky. Another thing to consider is cost and durability. Proper replacement grips are supposed to last a long time, so they’re more expensive. However, overgrips can be replaced frequently, so they’re typically very cheap by comparison. This is why they’re so popular – they give you the freedom to adjust your racquet’s grip in five minutes or so whenever you feel like it. The first thing to consider is how tacky you want your new grip to be. Some players like having something that’s super sticky, but others prefer smooth, dry overgrips. Normally manufacturers give a tackiness rating so you know how much their overgrip will stick in your hands. Obviously, tacky overgrips make it less likely your hand will shift when playing a shot, meaning you don’t have to worry so much about slippage. However, they can feel weird to use at first, especially if you’re not used to them. Most tennis players get sweaty hands in-game, especially when it’s hot. This can be really annoying, as it’ll likely lead to your racquet slipping when playing strong shots (even if you’ve got a super tacky grip). Some overgrips can help with this issue by absorbing sweat and wicking it away from your body. If you have problems with sweaty hands, look out for an overgrip with excellent moisture absorption. Most overgrips on the market these days are pretty soft, to a certain extent. This makes them more comfortable to use, and reduces your chances of developing hand blisters. However, there are a few overgrips out there that aren’t super-duper soft – they’re pretty thin rather than well-padded. 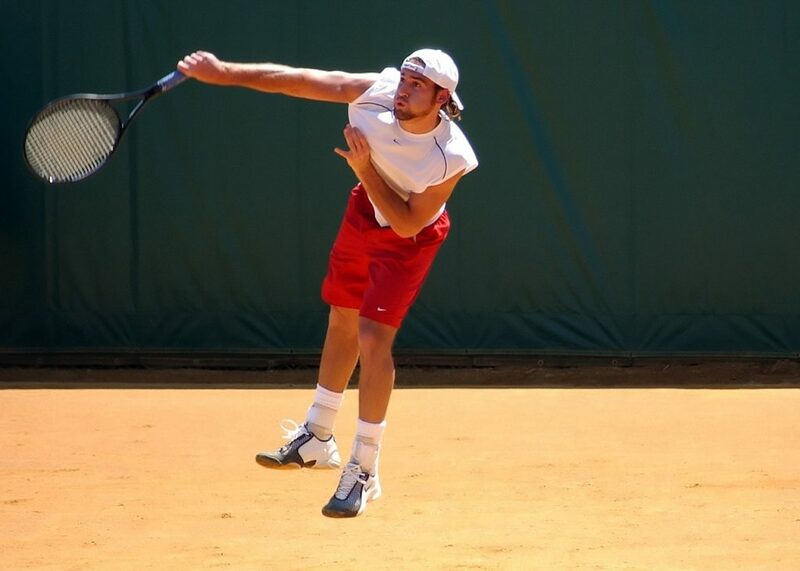 For some players, this makes it easier to grip the racquet. Again, this choice comes down to personal preference – you should consider how soft you’d like your handle. Remember that thicker overgrips with more cushioning will increase your racquet grip size (more on this further down the page). Luckily, pretty much every overgrip out there only costs around $2-$4, so your buying decision should be based on whether you like the grip or not, rather than how expensive it is. However, if you like to replace your overgrip every week, you should probably consider the cost of your purchase. Be on the lookout for bulk discounts when buying. A good pack of 50 should cost around $60-$70. How often should I change my overgrip? After 4-5 hours of intensive use, most overgrips will begin to feel a little different. They may lose their tackiness and might wear down a little, reducing their thickness. If you play tennis competitively, it’s definitely worth replacing your overgrip when this happens, to ensure you can play each match free from distractions. On the other hand, for less serious players, you should be fine to keep using your overgrip even if it’s a bit worn down, as long as you don’t mind how it feels. Typically, you should get two to three weeks or so of use out of it before you need to replace your overgrip. This is why it’s a great idea to buy overgrips in bulk. As we explored above, if you buy 50-100 at a time, they should end up costing you $1 to $1.50 each rather than $3-$4 each. Overgrips also allow you to increase the size of your racquet’s grip by making it thicker. Then compare it with the size given by the manufacturer of the racquet in inches. Normally, putting on an overgrip will add 1/16″ to 1/8″ to your grip, depending on how thick it is. Most overgrip manufacturers will include instructions with their wrap to make the installation process fairly easy. Finishing tape (the overgrip might come with a strip). Peel the plastic backing off the adhesive side of the overgrip. Place the tapered end of the overgrip on the very end of the handle, angled downwards at about 30 degrees. Wrap the grip around the rest of the handle, rotating your racquet as you go. Overlap each previous part of the grip by about 1/16″. Depending on how thick you want your handle, you can wrap it as loose or as tight as you need it. Once you reach the throat, grab your pen. Make a mark on the overgrip at the angled point where the last little area of the under-grip is visible. Next, make another mark where the other edge of the overgrip crosses the line between the under-grip and the beginning of the actual racquet, like you did before. Unravel the grip a little and cut a straight line between these two points. This should make the bottom end tapered. Finish wrapping the grip around the handle. Use your finishing tape to secure the bottom edge in place. Now let’s begin our reviews! In this part, we’ll take a look at 7 of the best tennis overgrips that money can buy. Surprisingly, major tennis brands don’t make super-special overgrips for the pros. In fact, the athletes Wilson sponsor use this very product. This overgrip is great because it’s a fantastic all-purpose wrap. It’s well-cushioned, ensuring your hand is nice and comfy even if you play for 4-5 hours at a time. However, this overgrip won’t necessarily make your handle too thick. The felt material is really stretchy, which means you can apply it as thin or as thick as you need it. If you’re looking to increase your grip size, you’ll find that there’s plenty of length to this wrap even if you don’t stretch it out too much as you apply it. Another benefit of the Wilson Pro is its durability. Unlike many other overgrips, it still performs pretty well even when it’s worn down. This means you can use each grip for at least two or three weeks of intensive tennis before needing to replace it. But if you like the feel of having a fresh overgrip at all times that’s OK – the Wilson Pro is very cheap (especially when bought in bulk). You also get a tapered end for easy application, and it comes in heaps of different colors, including white, bright pink, and neon green. We can’t really fault this overgrip. If you need a solid all-purpose grip rather than something designed for a specific purpose (like being super soft), this is a fantastic choice. Super stretchy – you can apply it pretty thin if necessary. N/A – excellent all-around grip. Unlike the Wilson Pro we just looked at, the Tourna Grip XL isn’t an all-purpose wrap. Instead, it’s designed specifically for use in hot, humid conditions. If you’re prone to sweaty hands, this is what you need. The outer material is engineered to wick sweat away from your skin, allowing you to better grip your racquet. At first, the surface feels fairly dry, meaning you can play without distraction in cool weather. However, as you begin to sweat, the Grip XL becomes much tackier, ensuring your hands don’t slip when shooting. Unlike with most other wraps, your grip will actually improve the more you sweat. Plus, this is a very thin grip, so it won’t make your handle too big when you apply it. Note that the “XL” in the name refers to length rather than thickness. The Grip XL is fairly long, which gives you plenty of room when applying it – even if you’ve got an extended handle, you may need to trim it a bit. It also comes with finishing tape, so you won’t need to buy any to keep it in place. The only issue with this grip is its durability. You’ll have to change it fairly regularly, especially if playing in very humid conditions. Considering what it costs though, this isn’t a big deal. Awesome if you’ve got sweaty hands – wicks moisture really well. 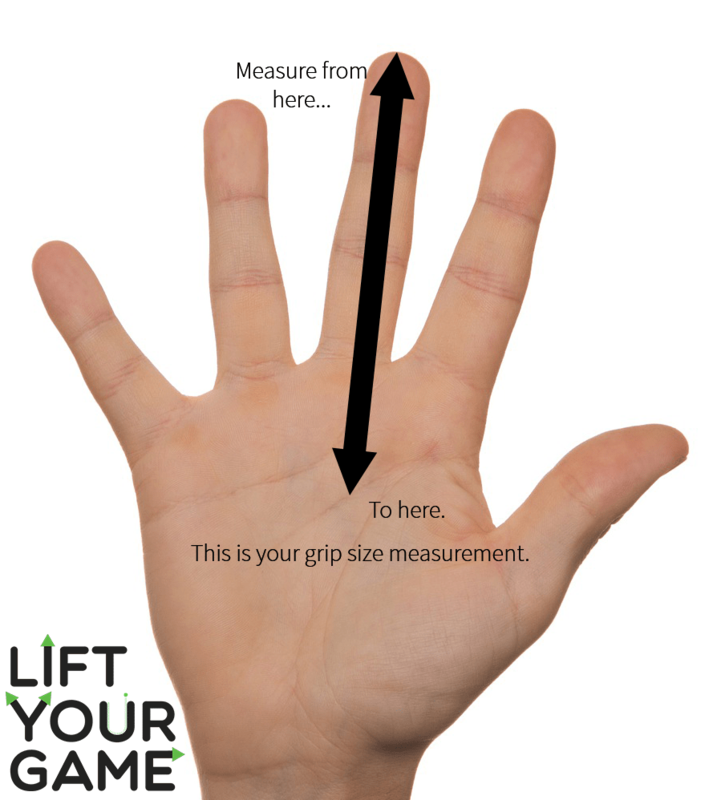 Thin – won’t increase your grip size too much. As the name suggests, this grip is designed to be super soft to the touch. If you’re prone to palm blisters, or prefer to have something with extra cushioning, the HEAD Xtreme Soft is a great pick. However, this extra thickness means that this overgrip will increase your racquet grip size by around 1/8″. If you’ve already got the right size handle, you might be better off with something a little thinner. The Xtreme Soft is also a pretty tacky overgrip. Its surface has extra large perforations for grip, which also do a good job absorbing sweat. However, it doesn’t wick moisture quite as well as the Tourna Grip XL. On the plus side though, this is a relatively durable wrap. It should last for at least 20-30 hours of intensive play. Plus, it’s quite reasonably priced when bought in bulk, and it comes in a huge range of awesome-looking colors. Ultimately, if you want an economical overgrip that’s super soft, or you want to increase your grip size, this is a great pick. However, there are better options out there if you need something to deal with sweaty hands. Available in heaps of different colors. Could have better sweat absorption. An overgrip that increases your shot power?! Not exactly. We’re not sure why Gamma called this overgrip the Supreme Power. It should be the “Supreme Multifunctional”, but that doesn’t exactly roll off the tongue. From the moment you first touch it, you’ll notice that this is a pretty tacky overgrip. It sticks in your hand nicely, even when it’s cold outside. Choosing between a completely dry and a slightly sticky grip is a matter of personal preference, but this tackiness can be a really nice thing to have once you get used to it. These grips also do a great job at wicking sweat, although they don’t absorb moisture quite as well as Tourna options do. However, if you’re not playing in super hot/humid conditions all the time, this overgrip sticks really well, even when your hands are sweaty. Plus, the Supreme Power is very easy to put on (it comes with finishing tape) and it’s also very durable. You should get two to three weeks of solid use out of each one before having to replace it. It’ll even work on handles not attached to tennis racquets – we’ve seen people using this grip on chainsaws, door handles, and even ping pong paddles! Moisture wicking could be better in extreme humidity. This overgrip is 0.6mm thick, which is thicker than most other options out there at the moment. 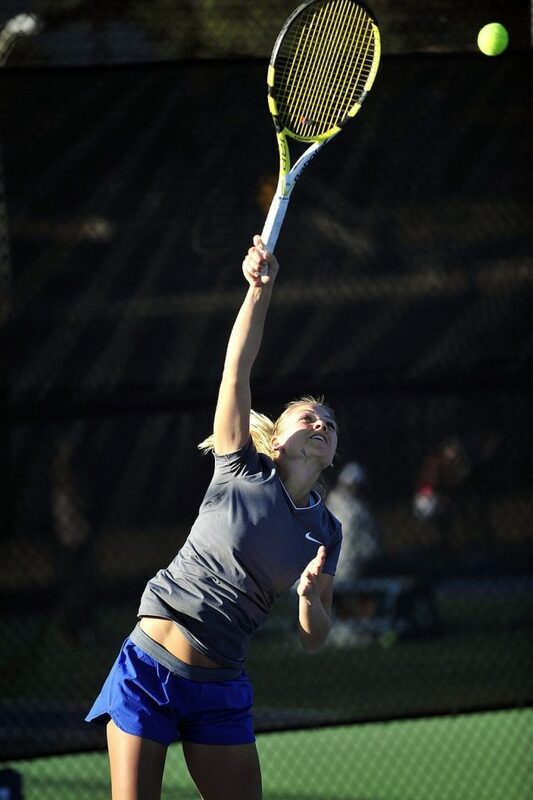 As a result, it’s perfect for increasing your grip size if you’re having trouble holding your racquet comfortably. The main benefit of this extra thickness though is how it enables the overgrip to act as a shock absorber. By dampening vibrations, the Super Grap (yes, this is spelled correctly) can make it more comfortable to play powerful strokes. Another great thing about this overgrip is how well it absorbs perspiration. It’s incredibly effective against sweaty hands, even if you live in Florida! Considering that this is a fairly economical overgrip, you might be wondering why it’s not a more popular option. The reason is this: it’s not incredibly tacky. Although it can help to improve grip by wicking away moisture, it doesn’t have that slight stickiness to it. Some players prefer this dry feel though, so it’s not necessarily a bad thing. Just ask yourself whether you’d prefer something with a little more tack to it. Most overgrips on the market these days will set you back around $1.50-$2 each when bought in packs of three. This option is a bit more expensive, because it’s a higher quality product. The Babolat Pro Tour is meant to last for months, rather than weeks. It’s designed to be abrasion-resistant, meaning it won’t wear down as quickly as most other overgrips. If you get tired of taking off old wraps or don’t like to throw them in the trash, getting a heavy-duty overgrip is a great idea. As you’d expect from such a well-made wrap, the tackiness is fantastic, and it’s very comfortable to use. It won’t absorb sweat quite as well as a super spongy overgrip because it’s relatively thin. However, it still offers fantastic grip even when exposed to moisture. Plus, since Babolat has designed this overgrip with durability in mind, it won’t come off your racquet mid-match if installed correctly. While other wraps may begin to peel after extended use, this one stays stuck for absolutely ages. Overall, if you’re looking for a durable, tacky overgrip, you can’t go past the Pro Tour. Just remember that it’s not designed with sweat reduction in mind, so you might be better off with something like the Tourna Grip XL if you often play in very hot weather. Thin – won’t make your handle too thick. Smooth – comfortable to hold. Doesn’t wick sweat incredibly well. Need excellent sweat absorption, but don’t like the look of the Tourna Grip? Check out the HEAD Super Comp. Unlike with their Xtreme Soft model, HEAD has engineered this overgrip to be relatively thin, meaning you can use it without taking your grip size up more than 1/16″ or so. Because of this, it doesn’t provide a great deal of cushioning. Instead, it has a nice tacky surface for enhanced grip. However, the Super Comp is also pretty good at wicking sweat – it works really well even in super humid conditions. What’s more, this overgrip is really easy to apply, even though the instructions on the packet aren’t incredibly helpful. It sticks well, and won’t begin to peel in-game if it’s taped properly. Considering what the Super Comp costs, its durability is fairly reasonable – you should expect to replace it every week or two of intensive practice (assuming you’re playing every day). Fairly tacky – won’t slip. Won’t last an incredibly long time, but this is to be expected given the price. 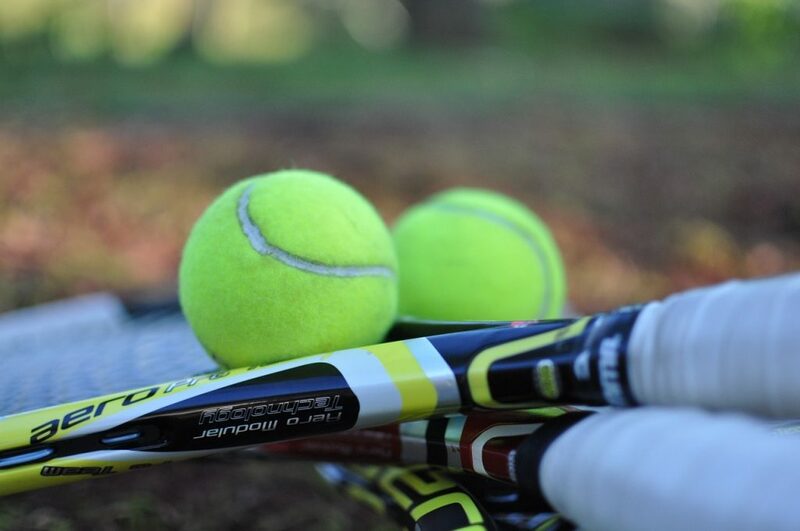 We hope you found the right overgrip for your racquet. Still not sure what to get? Drop us a comment below and we’ll respond ASAP.